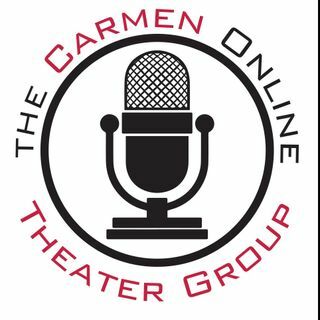 The Carmen Online Theater Group provides audio theater horror programming. Created by Executive Producer and Writer, Liane Moonraven, the horror-themed network airs unique, audio short stories, mini-series, full run series and monologues of unique all original or rewritten adaptations of original radio theater horror productions. ... Más informaciones Moonraven has also produced short horror stories written by some of the industry's most prolific horror and paranormal authors and adapted them in scripts for the audio theater platform. We will reveal the answer on Thursday ... Más informaciones night of that same week at 10pm Eastern Time, right after The Burbs. If you sent in the correct answer, your name will be read during the broadcast. If you cannot listen during the live show – no worries - each episode is archived and you can listen at your leisure. It doesn't take long for Lisa to find a place she feels is quite suitable for ... Más informaciones them. Because of the money left to her by her husband's substantial life insurance policy, Lisa knows that, at least financially, she won't have to worry about surviving.